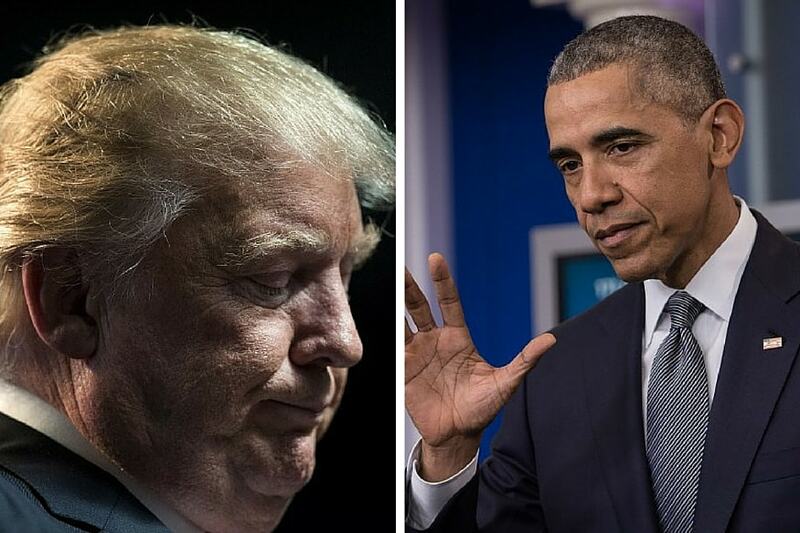 Washington: US President Donald Trump has alleged that his predecessor Barack Obama had done nothing despite being advised by the FBI on likely Russian meddling in the 2016 Presidential elections. He was responding to a question on the Russian meddling in the US elections after a rally in Nevada Saturday, ahead of next month's midterm polls. Russia, however, has denied the allegations. "I've already said that. I always say this and you've heard me say this many times... President Obama was contacted by the FBI in September, long before the election in November, and they told him there may be meddling by the Russians, and he did nothing about it, because he thought Hillary Clinton would win," Trump told reporters. He said the present government has taken adequate steps to "protect" the upcoming elections. "He (Obama) did nothing He didn't lift a finger he didn't spend a dime. We've done a lot to protect the elections coming up very shortly. "But president Obama, people don't want to bring it up. The 'fake news' don't want to bring it up. President Obama was told in September by the FBI that there could be problems with Russian meddling," Trump said. He also said the Russian meddling in the 2016 Presidential elections did not have to do anything with his campaign then. It had nothing to do with my campaign. All of the hackers, and everybody that you see, nothing to do with my campaign. If they are hackers, a lot of them probably liked Hillary Clinton better than me. Now they do. Now they do, he said. "The good thing is, every single report, Sen. Richard Burr, head of the Senate intelligence, they said, Did you see any collusion?' No collusion. I've seen no collusion whatsoever.' Very strong. Couldn't be stronger. "But the good news is it never affected, whatever did take place, never affected the vote, Trump said. He said, "Everybody agrees to that. Never affected the vote. The candidate affected the vote. The bad candidate. She should have gone to Wisconsin. She should have gone more to North Carolina; Pennsylvania; Michigan, Florida."